Does your dog freak out at the TV? Do they get jump up and try to chase any cat that appears on the screen? Are your nature documentary viewings ruined by your dog’s commentary the entire time? I thought I was alone on this, so I never bothered writing about it. I thought my dog was just a weirdo, but as it turns out it’s a pretty common problem. Over the past couple of years I’ve gotten quite a few e-mails asking for help on this topic. So guess what? You’re not alone. Before Laika none of my dogs ever showed much interest in what I was watching or listening to. But like many other situations Laika tends to handle things a bit differently. Whether it’s a dog barking on TV, or a shot of a fox hunting in the snow — it’ll get a reaction from her. She not only barks — she whines, she grumbles and she gets up to investigate. If it’s something she finds really interesting (squirrels) she’ll not only bark at the TV, she’ll jump up and start nudging it with her nose. Her barking and lunging at the TV made me realize that 1.) I needed to find a way to keep her calm and 2.) I watch a lot more TV shows with animals than I thought. I haven’t stopped watching my animal shows, but I did figure out how to stop my dog from freaking out about it. Here’s how I stopped my dog from barking at the TV. All dogs are different, and that’s true when it comes to what, where, when, how and why dogs bark at certain things — including the TV. Dogs are attracted to things that move, and seeing animals move around on screen is something that peaks the interest of many dogs. Why do some dogs bark at the TV while others ignore it? 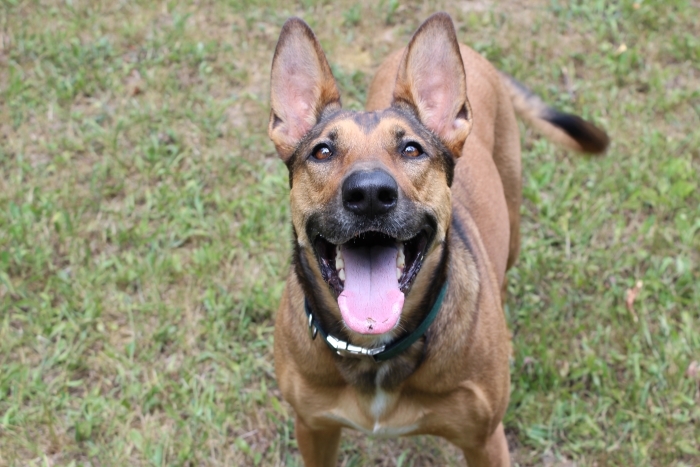 Some dogs bark at the TV out of excitement, some do it as a reaction to specific sights or sounds, some do it out of frustration, and some do it out of stress and/or fearfulness. With Laika it was a combination of all of those factors, and without my intervention it started happening more frequently and the intensity got worse. Her general excitement at anything that moves on TV turned into frustration. She saw all these animals having fun and doing exciting things in her own living room, yet she couldn’t join in or even get a sniff of them. When she started getting that upset I knew I had to find a way to stop it. This is Laika, and she likes to bark and nudge at any mammal that moves on TV. When it comes to stopping your dog from barking at the TV the first thing you’ll need is a set of videos that elicit a response from them. For this I used these Paul Dinning videos. They’re great for this method (as long as your dog reacts to birds and squirrels) because they’re high quality and straight to the point — they show nothing but animals moving around on screen. That means you don’t have sit through commercials or 5 minutes of watching a nature documentary crew set up their gear before getting a response from your dog. Once you hit play on those videos it’s go time. The second thing you’ll need is a bunch of yummy treats. These will be used to keep your dog’s attention when all of those crazy things start happening on the TV. Now that you’ve got some videos lined up and treats in hand it’s time to begin. Sit down with your dog in front of the TV and start playing one of the videos. I’d start with one that you suspect will only elicit a mild response from your dog. I used the bird videos first; they’re interesting enough to make my dog get up and investigate, but they don’t immediately set her intensity to 100%. As the video plays watch the way your dog responds. Are they interested in those birds? Are they getting excited? Are they barking? Has your dog already jumped off the couch and started lunging at the TV? Observe their reactions so you’re able to predict when they’re going to react. Now that you have a pretty good understanding of when your dog is going to react it’s time to start intervening before that happens. Give them a treat before they get too exited, and tell them how good they are as they calmly watch all those birdies. Giving your dog treats while they’re watching TV lets them know that they’re making the right decision, and doing it repeatedly will help reinforce that behavior. It may seem awfully simplistic but what you’re teaching your dog is that remaining calm while watching TV is a positive experience, and one that makes them feel good. Every time Laika would start to get a little excited when watching a video I’d tell her to “leave it” and hand her a treat. When she started grumbling at the TV I’d tell her to “be quiet” and hand her a treat. Over time she started reacting to things on the TV less, and eventually she was able to reliably remain calm. Starting with a video that only gets a mild reaction from your dog is key; if you pick one that gets them riled up right away it’s going to be hard to calm them back down. And when dogs get that excited (often called over threshold) it’s nearly impossible for them to learn anything. After you’ve taught your dog to remain calm while watching the first video it’s time to move onto video number two. Use the same method you used for video one (reward your dog for remaining calm and quiet before they get too excited), and repeat as many times as necessary until you’re confident that your dog can handle it without getting too excited. The trick is slowly building up their tolerance to all those crazy things that happen on TV without getting them too riled up to the point where they’re unable to listen and learn. After your dog has learned how to remain calm while watching birds you’ll find it easier to keep them calm as you up the ante to watching things like squirrels and cats. 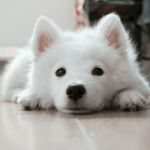 The concept is to change your dog’s emotional response to the TV from excitement to calmness, and you can do that by rewarding your dog’s calm behavior with treats. For the best results I suggest starting with a video that elicits a mild response from your dog and working your ways up towards the ones that make them crazy. Once your dog has some control over their impulse to bark at anything on the screen that moves it’ll be easier to work on videos that really excite your dog. Does Your Dog Bark at the TV? 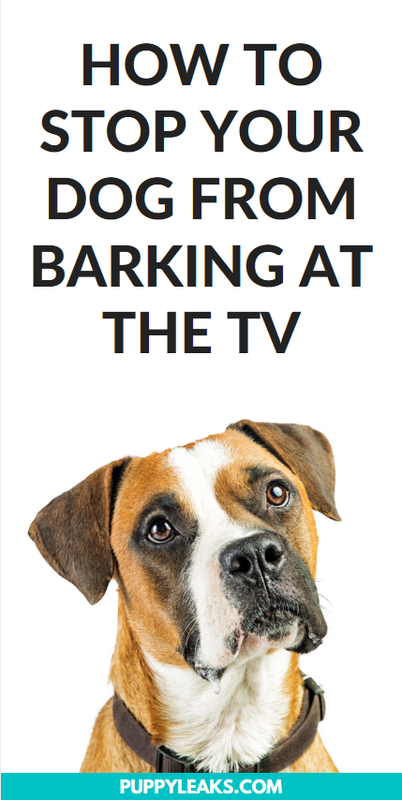 Does your dog bark at the TV? What sorts of videos set them off? 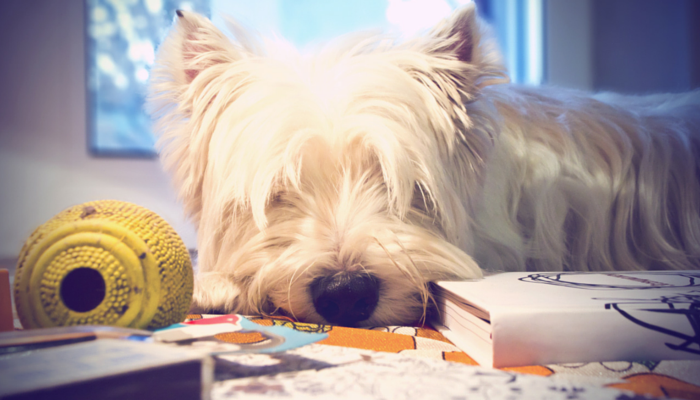 Do you think your dog does it out of excitement or frustration? What methods have you used to keep your dog calm while watching TV? The method I used to stop my dog from barking at the TV is called counter conditioning and desensitization. It’s a mouthful I know, but it is a method that works extremely well for many dog issues ranging from reactivity to separation anxiety. It’s the process of changing your dog’s emotional response to a certain stimuli or stressor (in this case the TV). It’s cute, albeit frustrating, that your dog barks at the TV. Thankfully neither of my dogs bark at the TV (they’d much rather bark at squirrels outside) although one of them will occasionally watch the TV when it’s on. The videos seem like a great way to get some fast results. That way you can train when it is convenient for you instead of trying to find the right moment on TV . Only one of the dogs I’ve owned or taken care of has barked at the TV. That was (of course) a small dog that would bark at every sound and every living creature that could (in her eyes) be a threat. The reason she behaved that way, I think, was the combination of her guardian instincts and the lack of correction from her owner. My dog does nothing but bark at the tv when a dog comes on, and it seems that every advert has a dog on it 🙁 it’s driving me crazy!! Any tips would be greatful ?! I would work on desensitizing your dog to seeing other dogs on the television. Pick a program that has dogs in it and record it (or choose some Youtube videos). Sit down with your dog calmly and start playing the video. 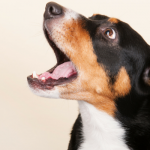 You’ll want to capture and reward the moment before your dog starts barking. 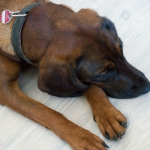 With enough repetition (and praise from you encouraging calm behavior) your dog should start to understand that being quiet is the appropriate way to respond. 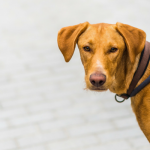 It’ll take time and patience if your dog gets really riled up, but in the long run desensitization works by changing your dog’s emotional response to the television. I am not discrediting this method, for I know it will work for “training”. However, my dog is well trained, yet he can’t resist watching the tv (It is rather large). I can give the command “look at me” and he will. I can give the command “Go on” and he will go to my room and stay in there with the door open. What now? I want him to be with me, and he is fine ignoring the TV if I’m rewarding him, but that’s not truly correcting the problem, merely deflecting, as well as baiting, which should only be used in the very beginning stages. I’m looking for options for conditioning. He’ll do anything I ask, regardless of the tv, but is it really more relaxing to constantly be treating your dog to prevent barking? Do you believe your dog Will not pick up on/ take advantage of opportunities to be in control of directing your attention towards them?